Nearly 1 and 3 couples are affected by adultery, and it isn’t just the husband stepping out; wives are just as guilty. The majority of marriages will end because of adultery. However, a marriage can survive, and many do. Three things must happen for a marriage to survive adultery: 1) The adulterer must genuinely repent. 2) The person who was cheated on must forgive. 3) Both people need to commit to making the relationship work; whatever that entails. Before my divorce, my wife and I were meeting with a pastor trying to save the marriage, or at least that is what I thought. The counseling wasn’t going well, my wife was disinterested, and I was frustrated. One day I was asked by the pastor if there was another man in her life. I quickly and firmly replied, “no!” I could not even imagine she was involved with someone else. It wasn’t until the day our divorce was finalized that I learned differently. She is, in fact, was with someone and she chose to end our marriage to be with him. I never did learn what needs he was fulfilling that I fell short on, however, it became obvious we had a major communication issue. Both parties need to commit to the marriage to make it work, and that isn’t always the case because the cheater is wrapped up in what they want and need, many times leaving the relationship thinking things will be better. I believe that given the opportunity a marriage can survive adultery and be better, stronger and more fulfilling. By working towards forgiveness, restoration, and healing, you can rebuild trust and develop the communication skills required to have a successful marriage. Don’t try to do it all alone, reach out to professional marriage counselors and pastors to help you work through the process. In the end, a marriage can survive adultery. God works in mysterious ways, He really does. I just found out tonight that my wife who left me and committed adultery still loves me and possibly wants to try and work things out. Till now, she still claims she didn’t do anything wrong because she “left” me. If the cheating spouse doesn’t even repent for their sin, or acknowledge it, how can a marriage work? As hard as I try, I can’t forget the infidelity. I’ve prayed and asked God to help me put it behind me, but I still can’t. So I decided to go online and find verses and opinions on the subject. I came across a website, http://www.heavenministries.com which claim that the word “fornication” in the Matthew verse was not talking about married people. Apparently, fornication is defined as between non married people. This website claims that Jesus was talking to the Jews in those days, that were “bethrothed”, which means engaged. So therefore, if these people committed a sexual act against their fiancee, there were able to leave. According to this website, regardless of what happened in the marriage, whether by fornication or the unbelieving spouse leaving, remarriage is adultery. I don’t care whether I ever get married again or not. That’s up to God to decide. I’m just curious as to you, Jason and the readers opinion on this matter. God Bless. 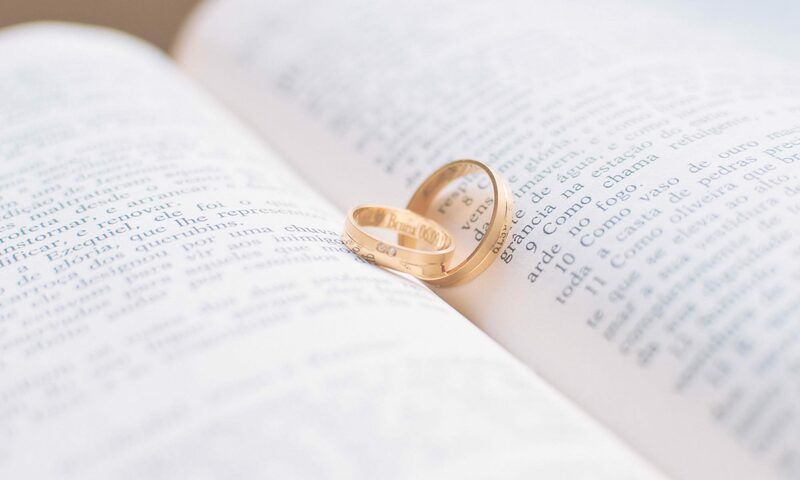 I have heard debate on the subject and I agree that sometimes the words in the bible may have additional meaning, however all the churches I have attended refer to adultery in the marriage and allow divorce and remarriage. Any of us are able to walk away from an engagement for any reason but not marriage. Sexual sin before marriage isn’t adultery, it is fornification. Also I think that many people that have been cheated on try to work things out but it is the cheater who decides to leave. What’s the loyal spouse supposed to do? Not ever get married? If they don’t leave and continue to cheat why would a spouse be obligated to stay in that kind of marriage. The body is sacred and they are defiling both by their actions. I think most people tend to remarry after divorce because we desire to have a mate, to satisfy physical and emotional needs and have companionship. God created us this way and I guess that is why I would think that He allows divorce for adultery if that truly is the best option. Another thought that has come to my mind. I remarried 4 years after my divorce and don’t feel I have made a mistake. I knew my first marriage had issues, however I was blind to God’s will. I believe I have grown closer to Him and this marriage is going to last and be blessed. There are some things in the bible that man debates back and forth making valid points but no real conclusion. For example; any type of remarriage is adultery or you need to be baptized to be saved. I am in neither of these camps but if by chance I am wrong I know that God is not going to hold it against me because of His grace. I did the best I could. I would imagine it would be the “teachers” that spread the falseness that will be judged, likely they had hidden agendas. Okay I am just rambling… Point is: we do the best we can. Jason, I completely agree with you that a marriage can not only survive, but be strengthened by, adultery. But as Jay mentioned, when there is no repentance, that can’t really happen. Unfaithfulness will only occur again if the adulterer can’t see that they’ve done anything wrong. If, however, the one who’s gone astray can truly repent and genuinely seek his or her spouse’s forgiveness, then that presents an opportunity for Christ-like love and forgiveness to be shown. Jason, you also mention that adultery doesn’t happen overnight and again you’re right. If there is adultery in a marriage, and both parties can humble themselves and see that their relationship needs some serious work, there’s nothing they can’t accomplish! Tragically, that rarely happens in our society. To me, there is no greater witness for the love of Christ than a couple who’ve experienced infidelity, become reconciled, and then shown the world that they are together again and working on their marriage. That is something that an unbelieveing world simply can’t understand. What if you’re wife cheated, repents and you forgive but you just don’t want to be married to this person anymore? that’s my situation: my wife cheated, has repented and wants to work on things but we have some basic personality differences that make it hard to be together. I often think that if I knew then what I knew now about myself, I wouldn’t have chosen her. But, I’m called to love her as Christ loved the church, so does that mean I’m stuck? I wish sometimes she would not have repented because freedom feels like being outta here. Charlie, I believe that God gives us the grounds to divorce if our spouse has been unfaithful. Infedelity is one of the worst things a person can do to their mate and as much as we would like to forgive and forget it is hard to rebuild that trust. If you feel that you are unable to resolve your differences and build a loving lasting relationship then the best thing may be for you to move on. But I always recommend trying, there is no time limit on how quickly you need to make a decision as long as you are trying to make it work. First of all the bible defines Adultery as “sleeping with another man’s wife…every thing else is “fornication”. When Jesus said “If you look upon a woman with lust in your heart, you have committed adultery”…the word used for woman is translated as Married woman. The only time this word is used elsewhere in the bible it is referring to a married woman. Every reference to a single woman uses a different word. This goes back to the 10 commandments…they are heirarchical in nature…one leading to the other until you lose your love for God. If you covet your neighbors wife, ultimately this will grow into adultery if not checked leading to wrath from the husband which could lead to murder and separation from God from all parties involved. I believe that humans in their fallen state tend to judge to quickly the actions of others. When Jesus sent away the woman at the well the word he used is accurately translated as “avoid this sin”, not stop sinning, or stop this sin. I believe the reason he used this word is because he knew that she had a prpensity for this sin and would fall into it again here and there until she grew in her faith. Also, who hasn’t seen an attractive person and had “impure thouughts”? He must have felt a bit of humor when he made the statement about looking at a woman with lust in your heart as he knows the state of the heart of man. I believe he was showing the futility of trying to enter heavan with works when sometimes we cannot even control our thoughts. He did not condemn the woman accused of adultery and said, “let ye without sin cast the first stone”…he did not say “let ye without this particular plank in your eye cast the first stone.” The bottom line is “sin is sin”. If you constantly stuff your face when you need to watch what you eat….guess what…he hates that as much as divorce, yet we as humans tend to place a heirarchy on sin so that we can live with ourselves and compare our sins to others. This is the path to self righteousness…this is like the old quip…it’s like two people jumping for the moon on the one who jumps higher bragging about getting closer. Anytime someone tells you that you are living in sin, it makes me laugh…we are all living in sin…as Jesus said “I will leave you for awhile and you will die in your sins”. Think about it!